Most of our Sobralias produce great masses of flowers that last just one day. But about once a month there is a 'Sobralia Day' when several species flower at once. Lucky you if happen to visit on one of those days! Sobralia helleri with its dramatic blood red lip is flowering today--and it's covered with flowers. 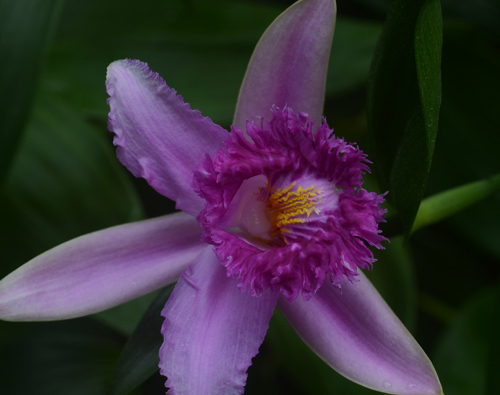 Our plant is about 5' in diameter, not especially large for a Sobralia. Look for it in the very back of the Orchid Display House. It is native to mossy rainforests in Nicaragua, Costa Rica and Panama, occasionally as an epiphyte. 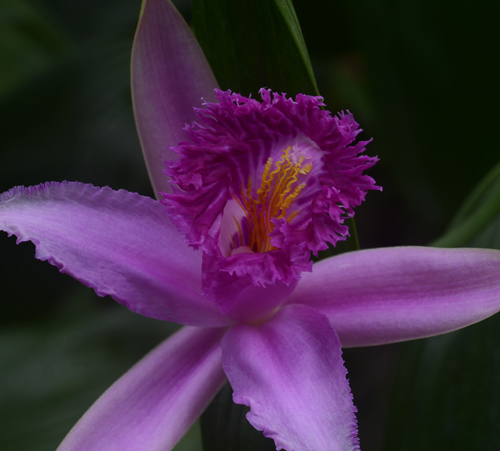 Sobralia bouchei from Panama and Colombia is one of our most frequent bloomers in the Orchid Display House. We have several plants, one of which is located under the Strawberry Guava tree. I love the electric yellow lines (called keels) radiating from the center of the flower. Even a nearsighted pollinator could find the center of this flower. 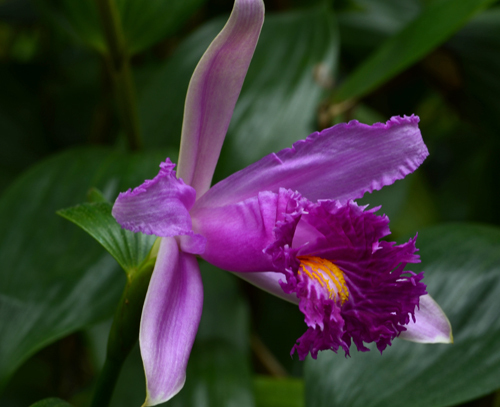 We have about 30 species of Sobralia permanently installed in the Fuqua Orchid Center. 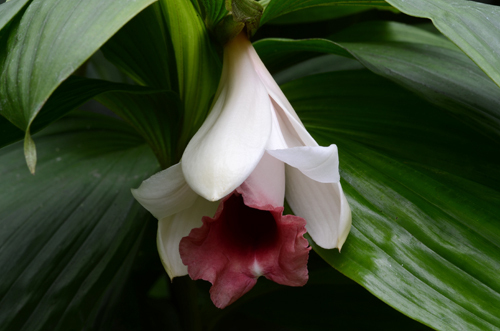 Look for them throughout the Orchid Display House and the Tropical High Elevation House.